Thousands of school children affected by Teachers Strike across Sussex and Surrey. The profession's biggest union, the NUT, says its members are facing worsening terms and conditions, and exhausting workloads. 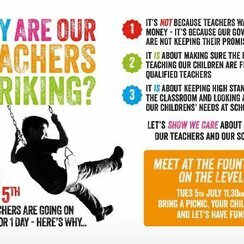 In Brighton and Hove a march rally is due to take place by parents supporting teachers.